Singer | Songwriter contact: kimgebrielmusic@gmail.com If you could visualize Kim Gebriel’s vocals, you would probably imagine a little box of candies with an abundance of flavorful assortments inside. From the dynamic city of Kingston, Jamaica where dancehall is booming, one wouldn’t expect to find an eclectic gem that rides any rhythm with such ease and gentle strength. Kim’s music beginnings stemmed from her early involvement in school concerts, choirs and theatre. She took piano lessons, ultimately decided that wasn’t enough and purchased her first guitar at the age of 18 and learnt to play by ear. She made music in the confinement of her home, but eventually shared it with popular dancehall record label Bassick Records. Much to her delight, the music was well received and reached several studios where she met producers and artists Roe Summerz, Sheen of SheenWorksMusic, Khxos and Sean Alaric of Class One Music. 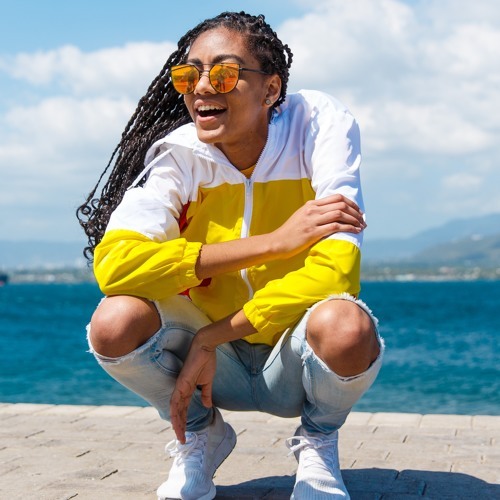 Her style of music infuses elements of Urban Chill, Carib Pop and Reggae Fusion and which complements the heterogeneous messages she sends out to her listeners. As she is known to be reserved and soft-spoken most times, she channels her most inner emotions through her music. While building her career in music, Kim Gebriel studies Bio Pre-Physical Therapy at the Florida International University in Miami Florida. She says, “A lot of what I study has a lot to do with how I upkeep myself physically and spiritually even within music. I try to maintain a balance by having a healthy body and a healthy mind.” Her first single, Right By You, was released early 2017. The track is a premium blend of Reggae fused with playful hints of Pop. It also features artiste, Sheen who is also the producer of the track. Her debut EP 'Oasis' was released in the fall of 2018.